Wells & Kimich offers new, used, and remanufactured cubicles for your office in Houston, Texas, making it easy for you to select the perfect option for your needs and budget. Known as a pioneer in cubicle remanufacturing, we have virtually unparalleled expertise with workstations, and we’ll draw upon our product knowledge to help you compare your many options. Through a thorough consultation, we’ll assist you with determining the needs of your Houston area workplace so we can devise a furniture plan that will accomplish your goals. New – Brand new workstations that come with a manufacturer’s warranty and feature the most up-to-date designs. Remanufactured – With our refurbished workstations, you can acquire workstations that are virtually indistinguishable from new products, but at a much lower price. Plus, we back our remanufactured products with a lifetime warranty. 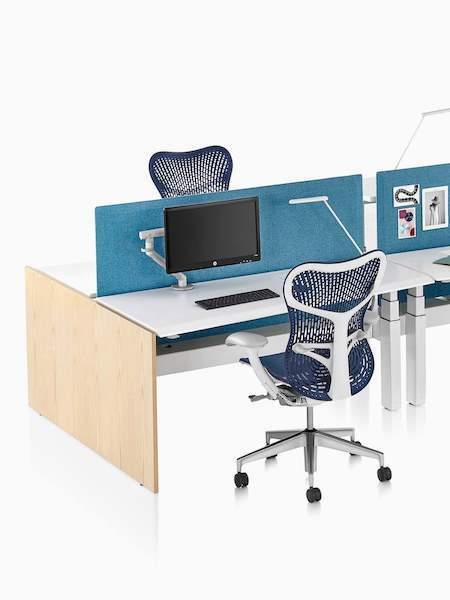 Preowned – Our used cubicles, which are made by renowned brands such as Haworth™ and Herman Miller™, offer outstanding cost savings as compared to the cost of new products. No matter which type of cubicles you choose, you’ll enjoy our personalized customer care every step of the way. As a full-service office furniture company, we offer comprehensive project management during your acquisition of new office furniture. Our professional design team can create a layout for your workstations that will use your available square footage in the most space-efficient way possible. Finally, we’ll deliver and install your cubicles, and will conduct a thorough walkthrough to make sure we’ve earned your complete satisfaction. To learn more about the office cubicles we offer to businesses in Houston, contact Wells & Kimich today. 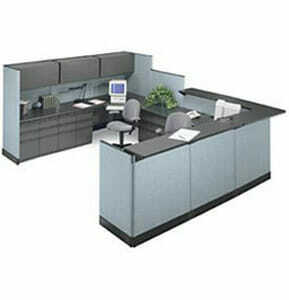 Also, ask about how our cubicle rentals can give you greater flexibility as you plan your ideal workplace. We offer both short- and long-term rentals of used and new cubicles, enabling you to easily accommodate seasonal employees or furnish an office for a temporary project.